Oklahoma SAE racist chant learned aboard national organization cruise, report says. 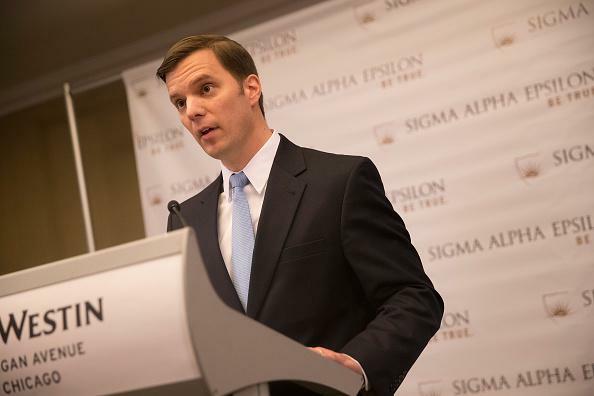 Sigma Alpha Epsilon national executive director Blaine Ayers. The “findings” document posted at HuffPo attributes its conclusion to interviews conducted by the “Office of Student Affairs.” Boren said Friday that more than 160 people were interviewed. The university’s letter to SAE’s national office suggests that the fraternity investigate how widely the chant has permeated other chapters throughout the country; the organization has said it is conducting such a review and has begun several anti-racism initiatives.